We’d love your help. 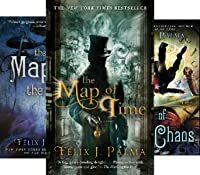 Let us know what’s wrong with this preview of The Map of Time Collection by Félix J. Palma. 1898. New York socialite Emma Harlow agrees to marry well-to-do Montgomery Gilmore, but only if he first accepts her audacious challenge: to reproduce the Martian invasion featured in H. G. Wells’s popular novel The War of the Worlds. Meanwhile in London, Wells himself is unexpectedly made privy to certain objects, apparently of extraterrestrial origin, that were discovered decades earlier on an ill-fated expedition to the Antarctic. On that same expedition was an American crew member named Edgar Allan Poe, whose inexplicable experiences in the frozen wasteland would ultimately inspire him to create one of his most enduring works of literature. When eerie, alien-looking cylinders begin appearing in London, Wells is certain it is all part of some elaborate hoax. But soon, to his great horror, he realizes that a true invasion of Earth has indeed begun. As brave bands of citizens converge on a crumbling London to defend it against utter ruin, Emma and her suitor must confront the enigma that is their love, a bright spark of hope even against the darkening light of apocalypse. 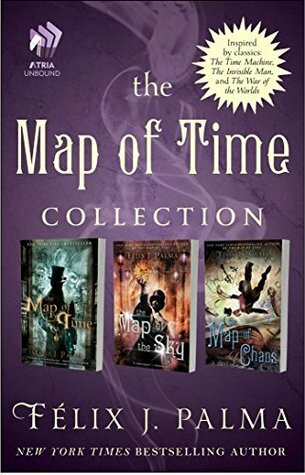 To ask other readers questions about The Map of Time Collection, please sign up. A labyrinthine tale that takes you through a winding journey of late 19th century England, full of charlatanry and twists. The pace can be a little slow at times, but that's ok because the story is intriguing and original. HG Wells meets Jack the Ripper and other characters ranging from greedy con-artists to naive romantics. I love the mixture of historical characters, fictional characters and new characters to this series. Wonderfully written and visually stunning. Palma has a gift for pulling the reader along with twists and turns that are thrilling. Absolutely brilliant. Thank you Felix. His first volume of stories, El Vigilante de la Salamandra (The Lizard's Keeper) showed his ability to introduce fantasy into the every day. He is also author of the storybooks: Métodos de Supervivencia (Methods of Surviva Félix Jesús Palma Macías, was born in Sanlúcar de Barrameda, Spain on June 16, 1968. He attended Francisco Pacheco High School and studied Publicity at the University at Sevilla.